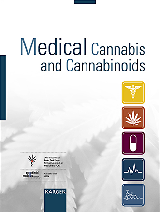 Clinical study data published in March 2006 show that both a cannabis extract and isolated THC caused a significant reduction in incontinence compared to placebo. The study was part of a multicentre trial on cannabinoids in 630 multiple sclerosis patients (CAMS study) conducted in the UK, whose main results had already been published in 2004. Participants received either the encapsulated cannabis extract Cannador, the THC preparation Marinol or a placebo for fifteen weeks at a maximum daily dose of 10-25 mg THC depending on body weight. Subjects completed incontinence diaries. The cannabis extract resulted in a reduction of incontinence by 38 per cent, THC by 33 per cent, and placebo by 18 per cent. 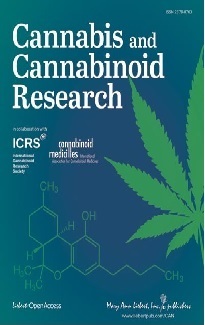 Researchers concluded that these "findings are suggestive of a clinical effect of cannabis on incontinence episodes in patients with MS."
Hundreds of boxes of cannabis-laced sweets and thousands of cannabis plants were seized on 16 March in five simultaneous Drug Enforcement Administration (DEA) raids in three Californian cities (Oakland, Emeryville, Lafayette). Authorities called it the largest West Coast cannabis manufacturing and distribution operation of its type. Twelve people were arrested and face charges of cannabis distribution. According to the DEA the boxes were intended to be distributed to cannabis clubs and over the Internet. Medical cannabis advocates pointed out that these were legitimate medical cannabis manufacturers under California law. The packaging of the sweets came complete with nutrition labels and dosage recommendations as well with a note that they were intended for medical use only. Local police departments assisted in the raids.